Another hand painted postcard this time by Ruby Cleeve. 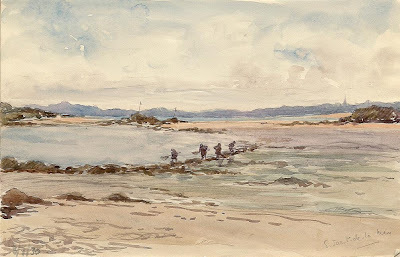 This is just one of many such water colours in her sketch books and was painted on 8th November 1930. It has never been sent as a postcard before today - as far as I know - but it was very easy. I just printed a copy onto thin card which I sent to somebody - completely out of the blue.